Kuark Forest too precious to lose! Please help our legal case. EEG and our legal team at Environmental Justice Australia have been preparing this case since February. It’s exhausting, but exciting. We can't skimp on legal power or expert evidence. 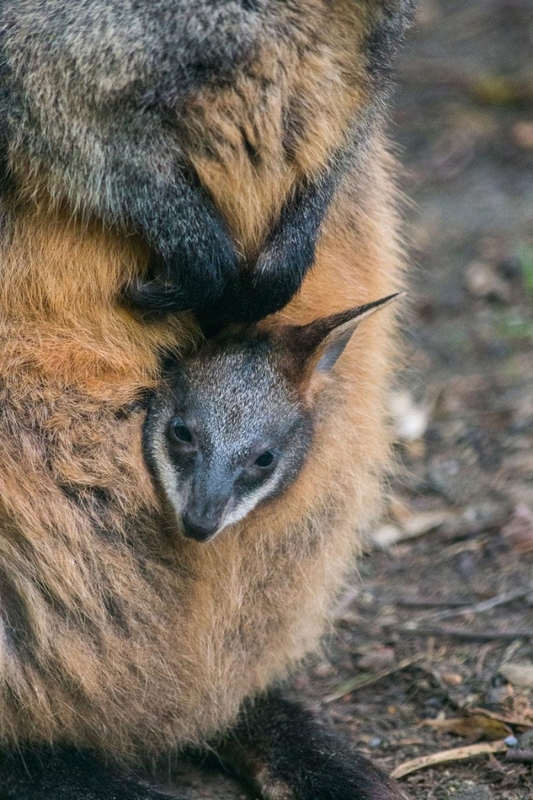 With so much of Victoria’s forested environment and native species under escalating threat, this case is critical. We need mountains of support and we'd love you to be part of our efforts. We must raise the funds needed to give this case our best shot. If we win, we’ll make history in the struggle for our ancient forests, their great trees of immense girth and stature, and the wildlife that relies on them. 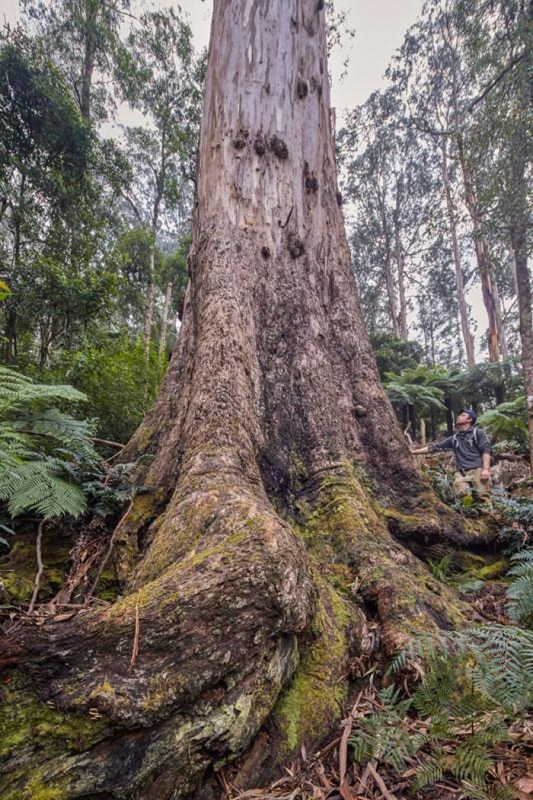 A win could see a change in how all of Victoria’s forests are managed. The trial will not be cheap. We need to raise $50,000 to ensure we have all the evidence we need to present in court. 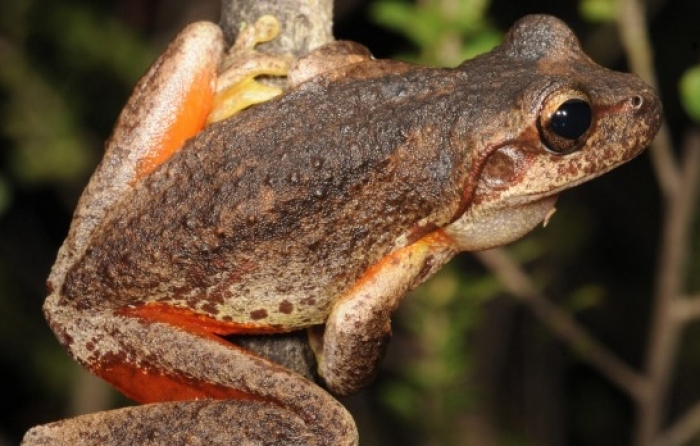 East Gippsland covers 9% of Victoria yet supports half the state's threatened native animals and plants. 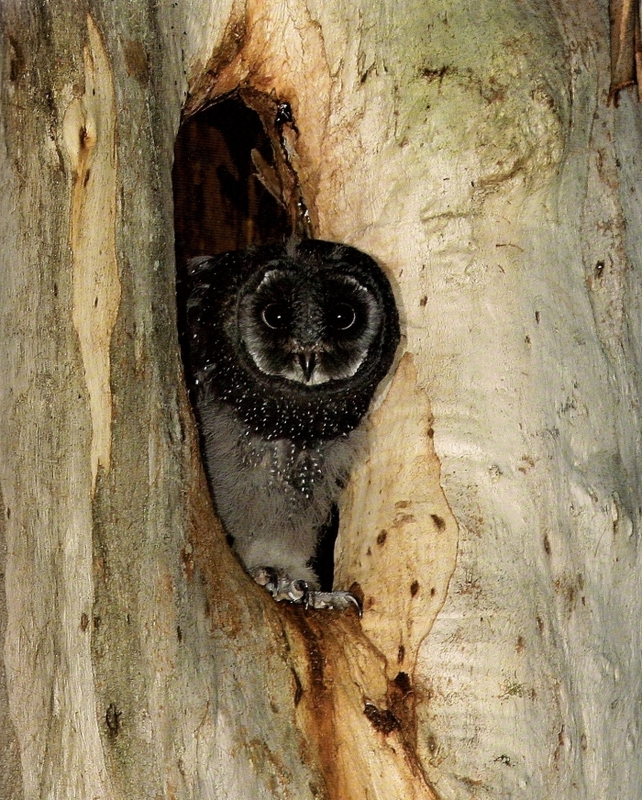 The richly diverse Kuark (koo-ark) forest within East Gippsland supports giant trees and rainforest gullies that are home to rare and threatened animals like the Great Glider, Sooty Owl, Large Brown Treefrog and Long Footed Potoroo. These globally rare and original forests are not protected: they are planned for clearfell logging. 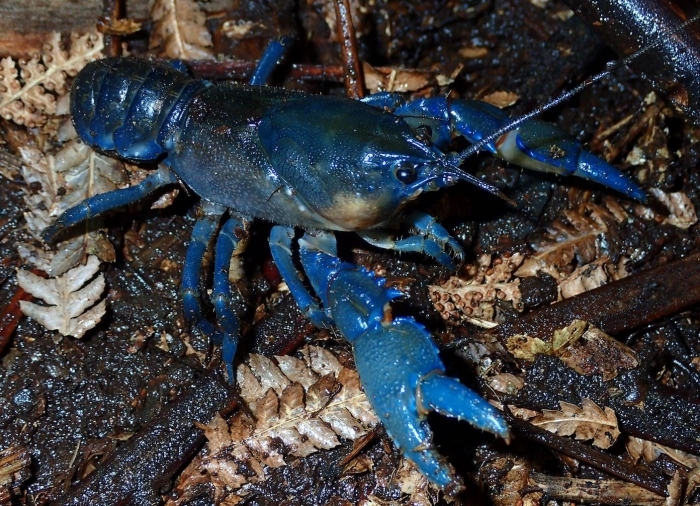 The Victorian Government's logging company VicForests refused to stop their chainsaws and bulldozes when the presence of protected threatened species was presented to them. The logging company also hadn't properly surveyed the area itself. Our only option was to take legal action. On 13 February 2016 Environment East Gippsland (EEG) successfully sought an urgent injunction to halt logging. Now we have to argue our case for the forests in an eight day trial in the Supreme Court. We have a strong case put together by a team of brilliant lawyers. 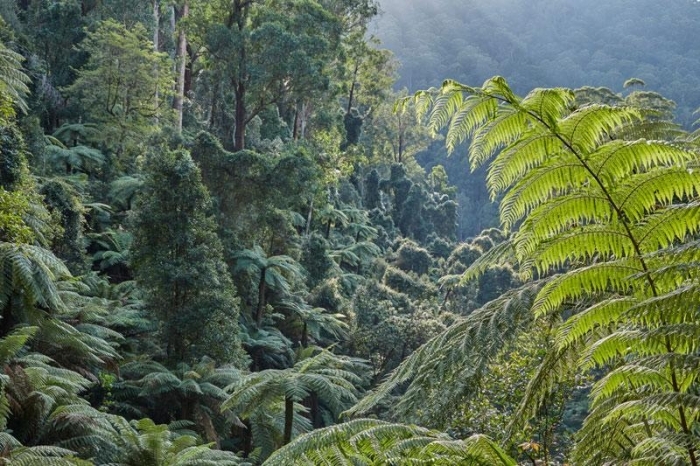 The Kuark forests represent the plight of pre-European native forests that are now extremely rare and face huge threats. 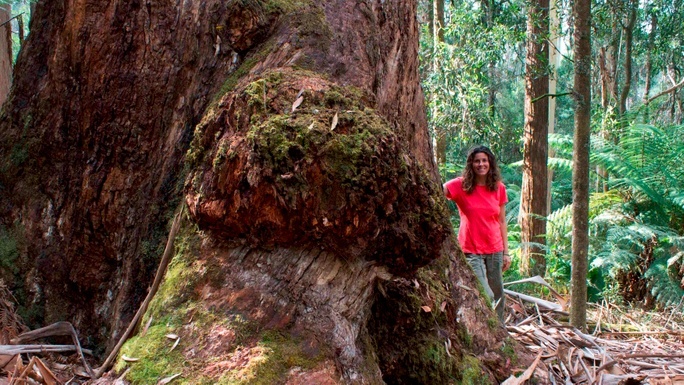 In 2009 we took VicForests to the Supreme Court and won. This will be our next big trial. We are putting the hat out again to make sure we have every chance of winning this case. Please help if you are able. (ps - there is a small fee as part of this donations page, and a larger one which is optional. Just untick the box for that if you'd prefer not to pay extra). Help us win our Supreme Court case. We argue that threatened wildlife, plants and rainforest must be looked for then protected from clearfell logging! A win could be a win for all of our forests. These stylish bookmarks feature four different giant trees which have been protected as a result of EEG's last big Supreme Court win for the forests of Brown Mountain. 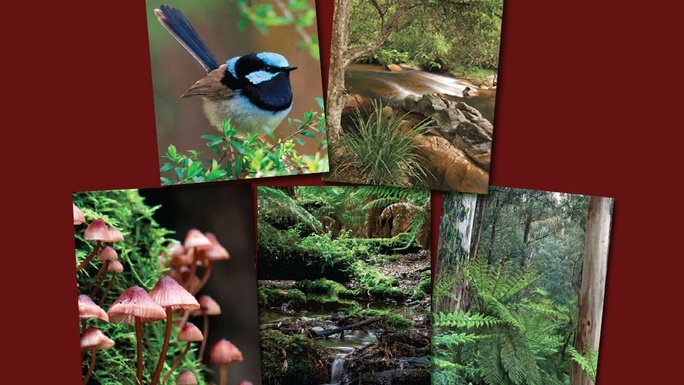 A set of five blank cards (and envelopes) with images of: 1) the mossy, rainforest lined upper catchment of the Bonang River, 2) tree ferns and Shining gums of the Errinudra Plateau, 3) Superb Blue Wren, 4) Bonnet Fungi and moss at Brown Mountain and 5) the silky, pristine waters of the Brodribb River. 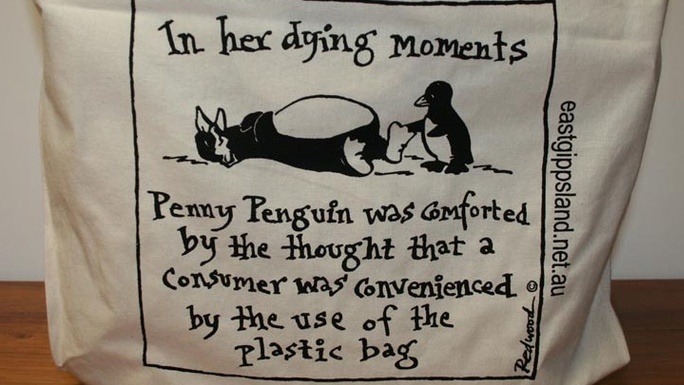 Pack of 4 giant tree bookmarks (described above), pack of blank gift cards (also above) and a calico shopping bag with a satirical environmental message. This is the holiday for forest fanatics! Tour with expert botanists, explore rainforests and old growth, search for giant trees, spotlight for nocturnal wildlife and camp by the Brodribb River with like-minded people. 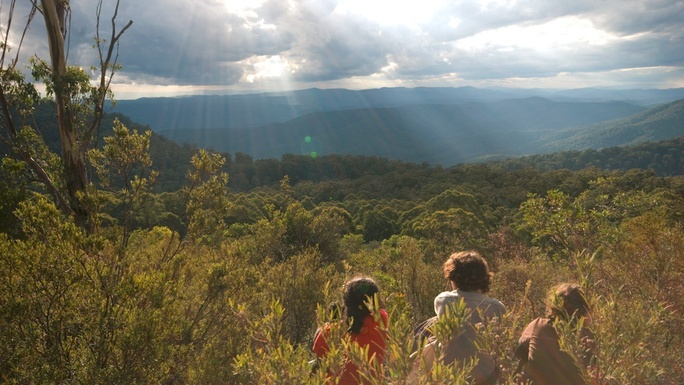 The camps are held in a small farming settlement called Goongerah, about 70 km north of Orbost and nestled between the Snowy and Errinundra National Parks. Est. Delivery Date: 14th - 17th April - Easter 2017. Est. Delivery Date: At a mutually agreed date. 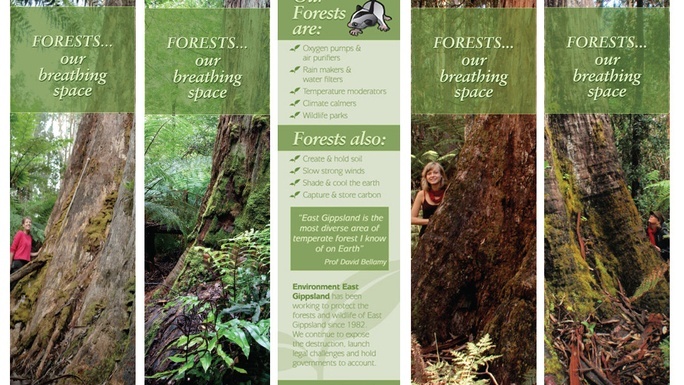 Get in touch with Kuark Forest too precious to lose! Please help our legal case.